This book documents the differences between math talk and ordinary English and describes the difficulties students have with the language. 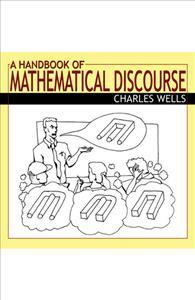 The Handbook describes the language used by mathematicians and their students to communicate mathematical reasoning and other aspects of doing math. It emphasizes the subtle and confusing differences between this language and ordinary English and the difficulties students have with it, and is based on hundreds of citations from the mathematical literature. The focus is on the usages encountered in undergraduate post-calculus abstract math courses. The Handbook is intended for upper-level undergraduate math majors, math graduate students, teachers of college-level math, and researchers in college mathematics education.